Paint is the ultimate designer’s medium. For only a few dollars, the perfect paint transforms nearly anything into something fresh, dazzling and new. If you would like to change up your entire home, keep on reading! 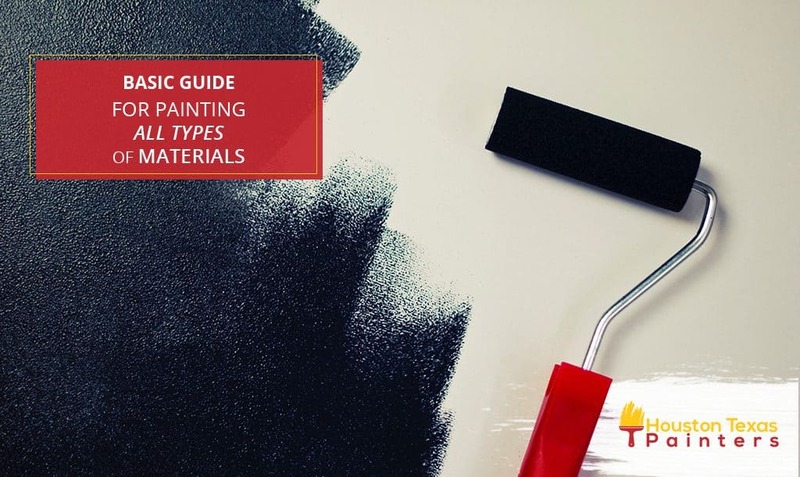 Here’s the ultimate guide for painting all types of materials! With a wire brush, remove the dirt and grime on the brick, but be careful not to dig out any mortar. Use soapy water to scrub the masonry, and you must rinse it thoroughly. Then let it dry for about 48 hours. Before starting to paint, use the first coat of latex primer. 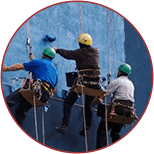 When it’s dry, you can now begin painting with the use of top-quality latex paint that is meant for masonry. To cover most of the surface, use a long-nap roller, and for the grout lines and crevices, you can use a brush. Watch out for drips! Also, a second coat is advised. Don’t use a pressure washer to clean your brick, because the risk of gouging out mortar is too significant. To improve adhesion, sand with 150-grit sandpaper. With TSP or another non-residue cleaner, clean the tile surfaces. Then, use an acrylic primer and finish with semi-gloss acrylic interior paint. If you like, you can also paint the grout a contrasting color — but you’ll need persistence and a steady hand. For best adhesion, allow the paint to preserve for ten days to two weeks before using the surfaces. Don’t paint tile floors. There are too much traffic and abrasion. Remove any old and flaking paint. You can wash the slab with TSP and treat oily spots with a degreaser. For 48 hours, let everything dry. Scratch the surface of the concrete with 10 percent solution of muriatic acid—make sure you have plenty of ventilation. Use a primer and paint formulated explicitly for concrete floors. Apply the paint according to the manufacturer’s instructions. To make sure your concrete isn’t oozing with moisture, you can tape all edges and wait a couple of days. Once in a while, check underneath the plastic to make sure no condensation has formed. If there is, your slab isn’t an excellent candidate for paint. Wipe the surfaces of your drywall with a damp rag to make sure it’s free of dust. If it’s painted drywall, you need to repair any holes and cracks with spackling compound. Use a top-quality acrylic latex primer. For previously painted drywall, use a stain-blocking primer to cover any marks. 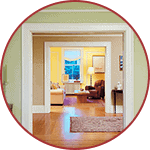 Finish with a good-quality acrylic latex paint. If you want an easier way to wash and clean a surface, the higher the paint sheen, the better. 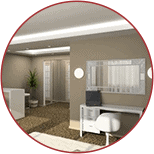 Semi-gloss is also suitable for kids’ rooms and kitchens. Remove any rust and flaking with a wire brush. Sand with 220-grit sandpaper. Rinse with plain water, let dry. Use an exterior-grade primer and paint that is formulated for metal. The method is the same for steel, aluminum, and iron. Sand with progressively fine sandpaper until the surface is smooth. Remove dust with a tack rag. Coat entire surface with a stain-blocking primer. 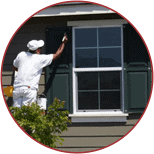 Finish with high-quality latex or oil-based paint. Sand between coats with 320-grit sandpaper. After you’re done priming, make sure any knots aren’t showing within. If they are, you can spot prime. Roughen the surfaces with 150-grit sandpaper, and clean off the dust with a damp rag. Coat surfaces with a stain-blocking primer. Finish with top coats of latex paint. A can of paint can transform the look of a room, and it won’t cost you an arm and a leg. If you don’t have any painting materials for beginners, seek help and hire a professional painter to spice things up in your home. Because materials used in painting art won’t do!